We just don’t know how to sit still! 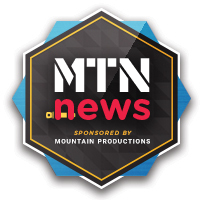 Mountain Productions is excited to be working on projects all over the country that span our three main production services: staging, venue installations, and rigging. In Philadelphia, our crews are in the process of building a massive temporary structure right in front of the Philadelphia Museum of Art for the iconic NFL Draft. It’s one of the NFL’s biggest weekends, and we’re proud to support this event with our largest covered post structure ever. Moving a little bit west out in Michigan, Mountain Productions’ installation team is busy with the Detroit Redwings and the preparation of their new home, the Little Caesars Arena. 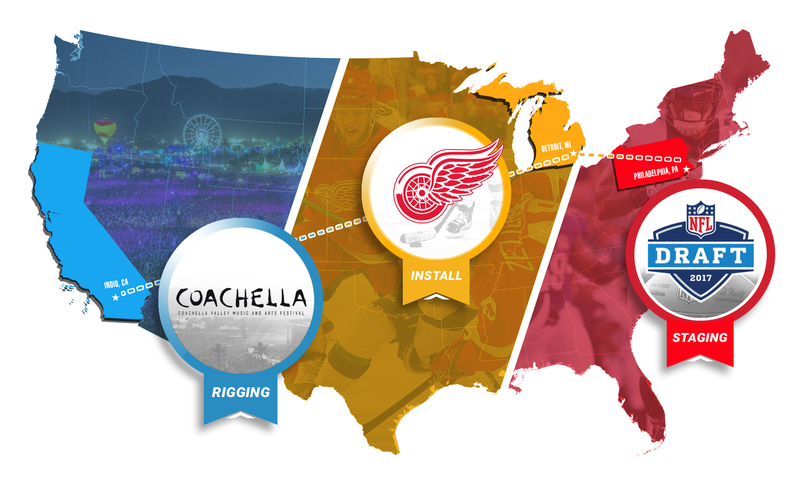 While our crew continues its progress in Detroit, our West Coast Division is rocking out over 2,000 miles west in Indio, CA, doing production rigging at the Coachella Valley Music and Arts Festival. With the first weekend down, we’re looking forward to the second installment of Coachella this upcoming Friday and another three days of music, art, food, and friends. From coast to coast, Mountain Productions remains the leader in event staging, rigging, and venue installations. Make sure to check out the 2017 NFL Draft on April 27th, whether you are lucky enough to be there live in Philadelphia or participate in an online streaming session. For all hockey fans, (and especially loyal Redwings fans) get ready for the revamped Redwings arena to open this upcoming fall. Last but certainly not least, head over to Coachella’s website (link below) to see live performances during the second weekend of the event.